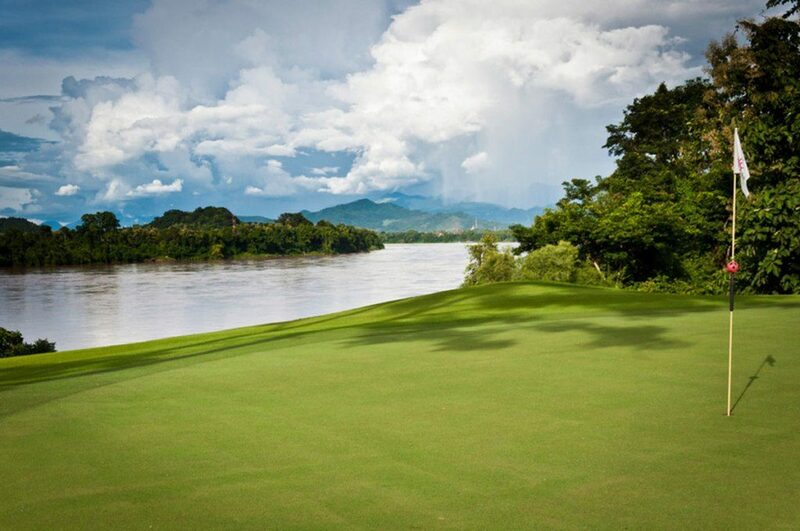 Luang Prabang is unique among SE Asian golf destinations in that it combines excellent 1st class golf with a traditional Asian cultural experience unmatched anywhere else. From the moment your plane arrives into the Mekong valley surrounded by jungle covered mountains, you feel as if you’ve left the modern world far behind and entered a different realm. Unlike the fast developing and modernizing Laotian capital city of Vientiane, Luang Prabang moves at a slower pace and stays true to its’ traditional roots. While there are many places in SE Asia that you might see a few Buddhist monks out in the early morning hours to receive alms from the locals, in Luang Prabang you may see hundreds. The peninsula between the Mekong and Nam Khan rivers is a UNESCO World Heritage site with well-preserved century old buildings from French colonial days, many of which have been converted into restaurants and shops. Many hotels of all standards are located in and near this area, and it is easy to get around by walking, bicycle or inexpensive tuk tuk taxis. 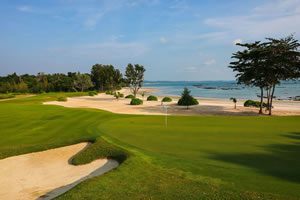 The area only has 1 golf course, Luang Prabang Golf Club, however it is by far the best course in Laos and compares favorably with the best courses in Thailand and Vietnam. Laid out over rolling terrain through thick native forests, on most holes you cannot even see any other holes aside from the one you are on. 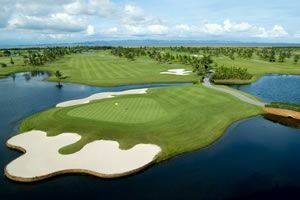 The signature par 3 17 hole and 18th tee box play scenically along the Mekong River, and the luxurious clubhouse sitting high overlooking the course is equally impressive. A ‘must see’ sight which makes for a nice day tour are the Pak Ou Caves, where steep limestone cliffs overlooking the Mekong are filled with countless Buddha images of many styles and materials. Elephant trekking is also very popular with various options available.